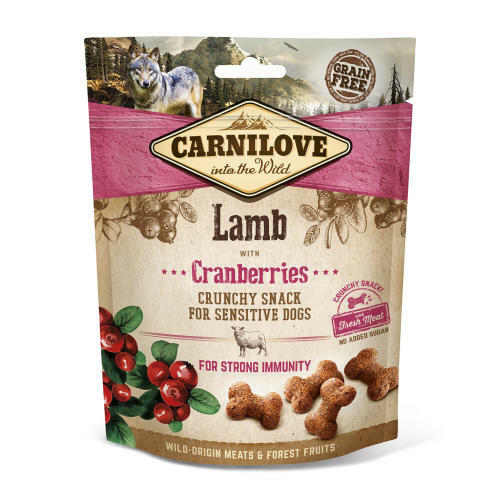 Carnilove Crunchy Snack Lamb with Cranberries and fresh meat are scrumptious snacks suitable for sensitive dogs. Cranberries are a natural source of antioxidants for strong immunity. Feeding guide: A crunchy snack with fresh meat for the ultimate tasty treat and perfect complement to your dog’s regular diet. Serve daily as a reward, for positive motivation training, or as a treat for shared moments during the day. Make sure your canine buddy always has plenty of fresh drinking water.